Most often than not losing weight before summer equals to women worrying about bikini season. For me that’s the last thing I’m worrying about. Beauty confidence is all about feeling great, looking healthy, and making lifestyle changes. It’s no secret that my weight goes up and down, and that can be certainly be seen in this blog. I’m in no way ashamed about my body at the moment, but I do know that I need to get fit in order to be more healthy and avoid any knee problems in the future. Recently I’ve been making small lifestyle changes such as cutting down on my eating portions and incorporating some light exercise into my routine. 1. Portion control: The thing that always gets me are big portions. My stomach is just used to eating a lot but you can definitely train it to get satisfied by eating smaller portions. It’s unrealistic for me to encourage others to cut out their favorite foods because there is no way I’m ever going to stop eating bread and cheese. What you can do is practice eating smaller portions and not eating too many carbs during the day. I’m currently sticking to using smaller plates so it’s not as tempting to consume too much food. 2. Walk: Walking is just one of the easiest ways to incorporate an activity into your routine. You can either walk your dog during the afternoons or make sure to park your car as far as possible when you go to stores. Making these small changes will help you remain active and burn some extra calories. 3. Drink more water: Keep a glass or bottle of water by your side at all times.Water has many health benefits, it helps you to lose weight, energize muscles, keep your skin looking clear, keep your kidney healthy, and prevent constipation. I drink a lot of water during the day but I know that the taste can get a little boring after a while. An easy way to enhance the taste of water is by adding some lemon or lime juice! 4. Be your own cheerleader: Lose weight because you want to, not because somebody else wants you to. It’s always great to get support from others but you need to be your #1 fan and motivator. This is something I’ve struggled with in the past but I’m determined to become my own cheerleader so I can commit to making some very important lifestyle changes. 5. Build a good workout playlist: This is one of the easiest ways to pump myself up when I’m working out. A good playlist will keep me going and influence my walking pace. For me the ideal workout playlist needs to have high paced music which is why I love having a lot of electro and dance artists in my workout playlist. Rock music also does the trick too! 6. Set goals: Forget about number and focus on setting realistic lifestyle goals. More often than not people just focus too much on their weight and will do anything to reach their desired goal. Instead of focusing on the number on the scale I’m focusing on accomplishing certain lifestyle goals such as running a mile without having to walk, fitting back into my old clothes, and working on my legs so I can reduce the amount of chafing. In addition to a healthy diet and workout, I use the Bliss Fat Girl Slim Lean Machine to tighten up my skin and give the overall body a more contoured look. I’ve been using a few different Bliss beauty products and love the effects that they have on my skin. With a practicing routine of a healthy diet, regular exercise and a consistent use of the lean machine every day for just 6 minutes; it has been proven to give some pretty amazing results! Moving from the knees towards your thigh, move slowly along your leg. This massage action promotes healthy circulation and with continued use should give you the appearance of smoother legs with less cellulite. I spend about 20 minutes total using the Bliss Fatgirl Lean Machine on my thighs, both from and back and my abs. It’s not a lot of time for something that has really bothered me and I am really looking forward to seeing the results with my continued use. All the changes I am making along with the use of the Bliss Fatgirl Lean Machine, will make a big difference in how I feel about myself. I will be able to wear all those cute shorts and crop tops that I just got for my birthday, without having to worry about pockets of fat peeking out. 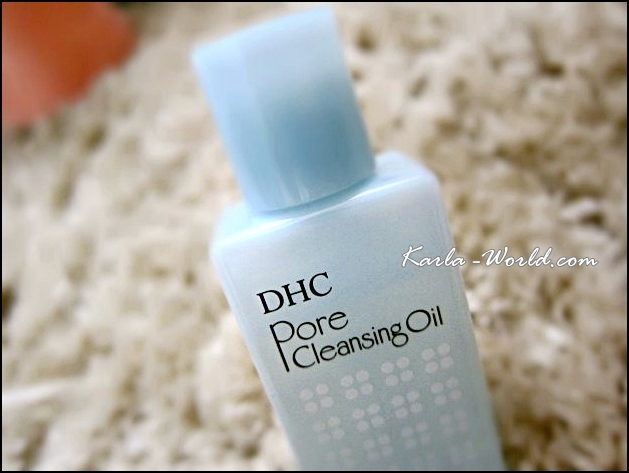 I purchased this because I liked the performance of the Pore Wash offered by DHC. Now, while I really can’t speak to the pore-reducing properties of this oil, it does leave my face as clean as a whistle, really soft and clear. Which says a lot for my oily and sometimes hormonally blemish-ridden skin. The package looks nice, nothing extravagant. 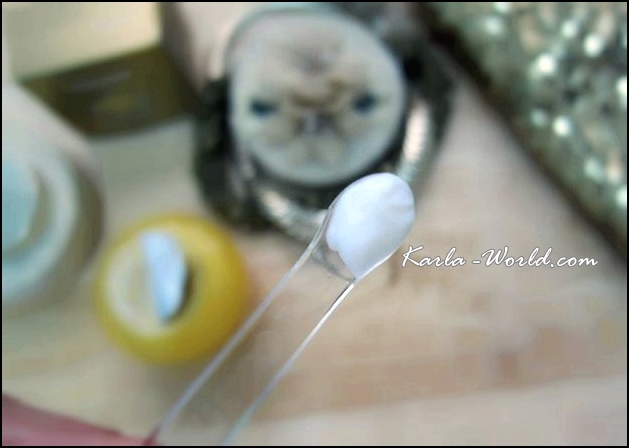 The oil is a thick, slippery liquid that should be massaged with dry hands on a dry face in order to work. That little bit is key. Then you can rinse off with lots of water. If you have oilier skin like me, you should probably follow up with a regular face wash or soap to take off any residue. Pros: Removes makeup, even mascara, really well. When used as directed, does not leave face greasy whatsoever. Smells like grapefruit. 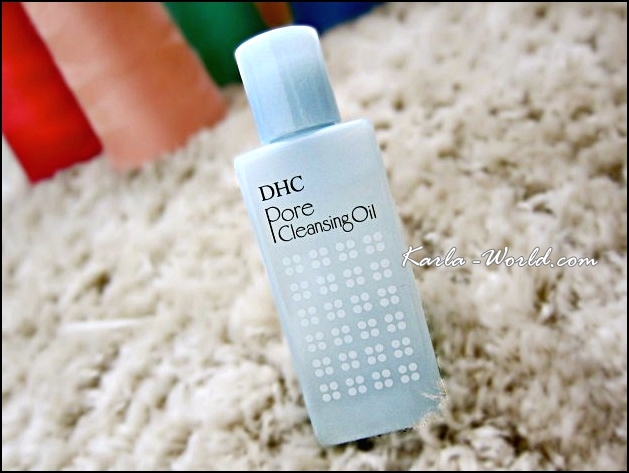 Like other DHC products, one doesn’t need to use much, so it’s cost effective (mostly). Contains high quality oils such as olive, argan, avocado, coconut and some others that sound nice. No mineral oil, hooray. Cons: Probably not awesome for people with really bad acne. And for the past week that I’ve used it, I can’t say I’ve seen a visible change in pore size. Maybe it needs more time? Conclusion: If you’re into facial cleansing oils, this is superb/worth the £. Or if you’re tripped out by the idea of rubbing oil on your face (like me!) it’s still really gnarly. I really want to love this product, but it’s just a big problem from application to its wearing power. Right now I am using it as a primer. I put MAC Studio Fix Fluid (I blended it with moisturizer to make it more hydrating and less coverage) on top. My face looks horrible. You can see all my pores. 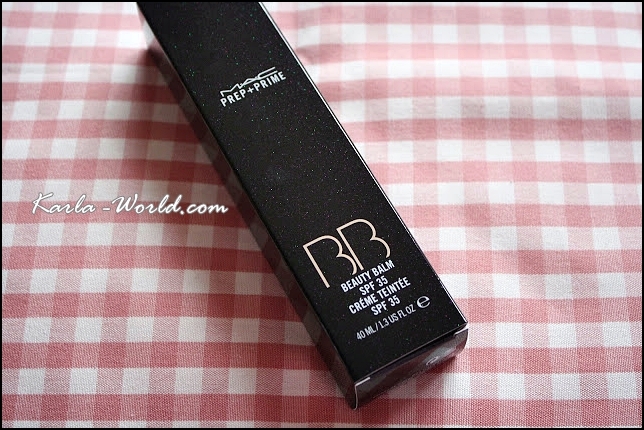 The other day I used it alone just as a tinted moisturizer, and it has the same effect. I don’t know what I am doing it wrong. I usually use a Beauty Blender (aka a sponge) to apply it or my hands because the stuff doesn’t blend too well so I don’t want to spend 30 minutes using a brush. It’s kind of an arm workout trying to put it on. No matter what I do, my pores look more noticeable. Also, it cakes around my nose and between my eyebrows and mouth. It seems as though any spot on my face that moves (smile lines etc), that’s where it likes to look flakey and cakey at. The effect is immediate too. It’s not like it looks flakey 4 hours later. It looks shiny 4 hours later, but it looks flakey immediately. I even try to spray Fix + on it to fix it, doesn’t work. Also, the product is not as matte as I want it to be and knowing that the oil slick comes very soon after, I usually use MAC mineralize studio powder on top which doesn’t help the flakiness one bit. I’ve tried using two different primers (Smashbox Photo Finish and MAC Prep+Prime Natural Radiance) and also using no primer with this. Either way, the results are horrible. Only giving it two stars because it does look natural where it doesn’t flake and I like how moisturizing it can feel but it doesn’t look moisturizing because my skin looks flaky. 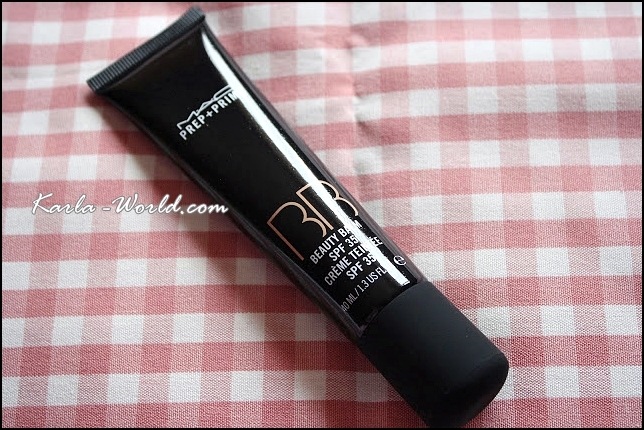 Also, this is not even a true BB cream. I feel played now since I realize that after buying it. There is no anti-aging ingredients or skin brightening. It’s basically a glorified tinted moisturizer/primer. 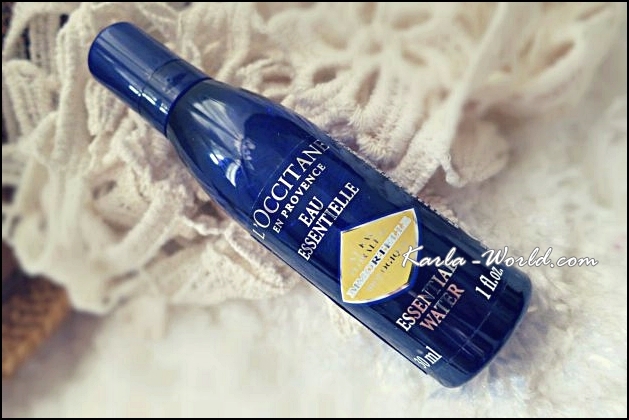 L’Occitane is one of my favourite brands for a lot of different reasons. 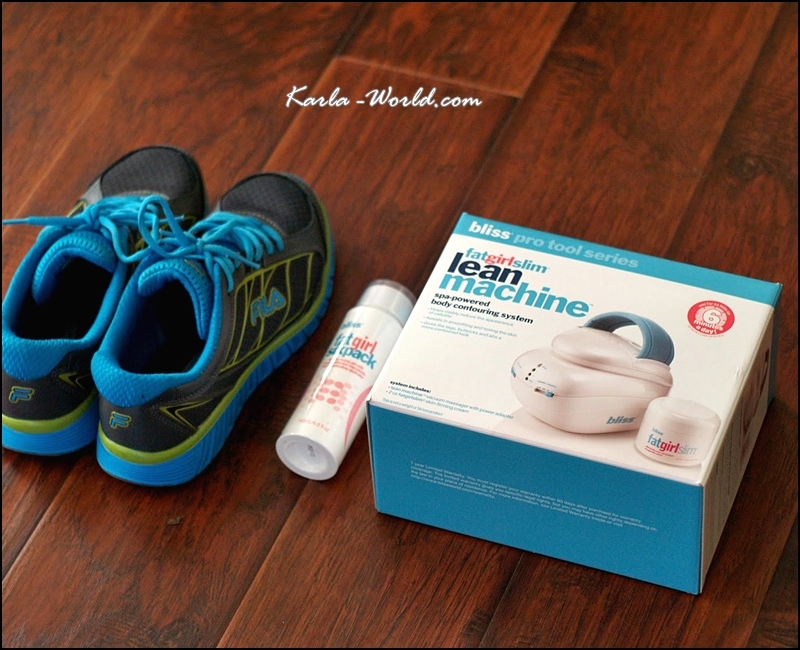 Firstly, their fragrances are phenomenal products that I can wear for day, night, and during exercise sessions. Cherry Blossom, Pivoine Flora, and their Rose fragrances are all satisfying perfumes from their packaging to the actual natural scents that they release. Secondly, their hand creams are better than eye cream on the lips. That may sound weird, but truly the ingredients they use to maintain that creamy texture is cleverly extracted into a tube. And of course, their skin care, which roots their entire brand’s reputation. Pricey stuff but unlike a lot of other brands, the products are made to last and do well on specific skin types, making a very diverse selection to choose from. Out of their skincare, their toners are my FAVOURITE. I haven’t tried any of their cleansers or many of their creams, so I cannot rate their toners being the best of the brand, but they’re truly amazing. * tightening effect: amazing pore minimizing overtime. * brightening effect in seconds: lasts overtime. * helps remove some makeup, just like all their other toners (Shea Butter, especially). * claims are all correct! : removes makeup? Residue, yes. Makes skin feel and look smooth and plump? Instantly and overtime. Purifying and mattifying? There is NO BETTER PRODUCT OUT THERE than this. Alcohol-free? Well… slightly drying, but that’s a good thing to know. * may dry out drier skin types (a good cream is required afterwards). * slightly pricier and may not last you a very long time (full bottle, approx. 4 months). 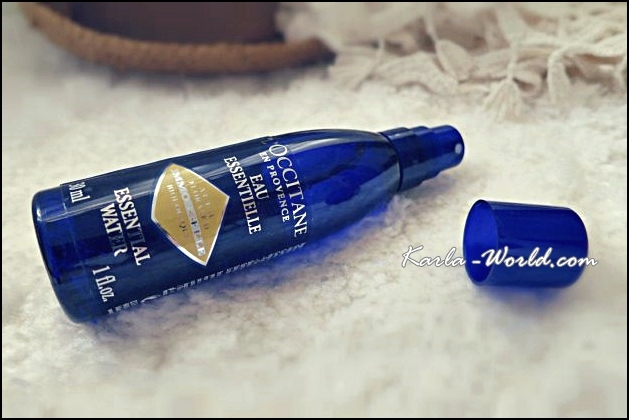 I first received several samples of the L’Occitane Divine Cream at the Newark International Airport boutique while looking for a cologne. I decided to use the cream and the sample of eye cream when I found out that I forgot to pack my regular moisturizer. The salesperson had given me at least 8 samples of each, so I was able to determine that this was a high quality cream that delivered results! It is thick and rich, yet goes on like liquid silk. Also, there is a high skin cell turnover rate, i.e. 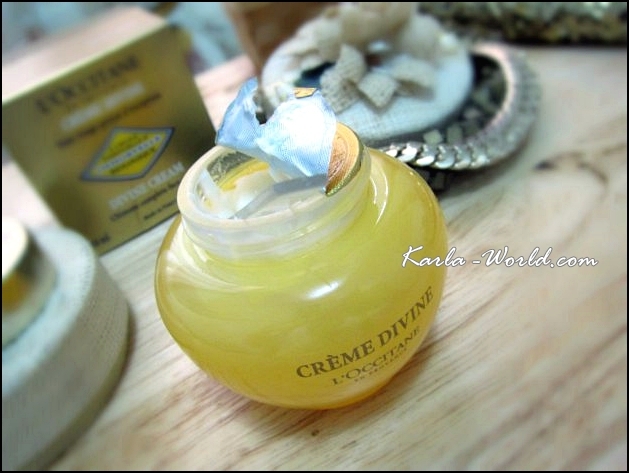 you will get flaking while using the Divine Cream, but what is happening is that the layer of dead skin cells is melting off, leaving you with baby soft, new skin. I’ve found discolorations have literally disappeared, wrinkles have diminished significantly, my skin is firmer and just glows. 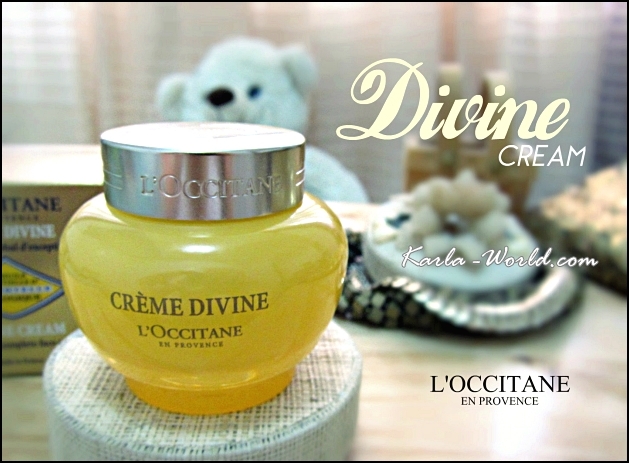 I ended up purchasing the entire Divine series after several weeks of seeing the amazing results from this cream, and with each week that passes (and I remain consistent with my skincare regime), I see more improvement. The scent is absolutely heavenly! I have never been a fan of any scent in a skin care product, but this cream is made from natural ingredients, and while getting the best results I believe I have gotten to date, I also receive some aromatherapy. 🙂 So the conclusion is that my skin now feels like velvet, has increased elasticity, pores have almost disappeared, skin is firmer, discolorations diminished, plumper skin and a high rate of skin cell turnover. I am a customer for life. I’ve been using this for 6 months and have already repurchased. I love this oil. One bottle has lasted 6 months with daily twice a day use. There’s still some left in the bottle, but I went ahead and repurchased since it [original bottle] has been exposed to air for half a year and doesn’t seem as effective as the fresh bottle. 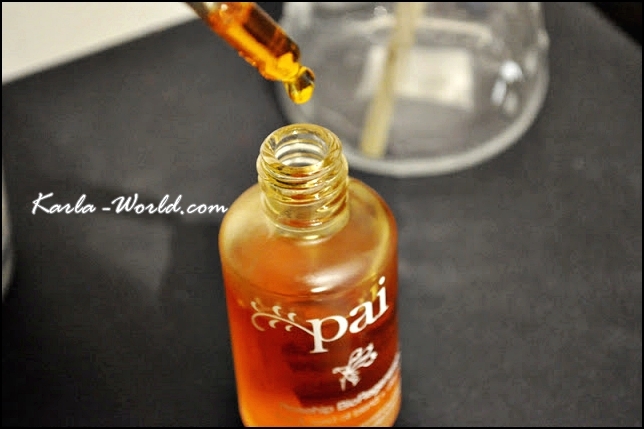 I order directly from Pai because I know I’m getting fresh product. 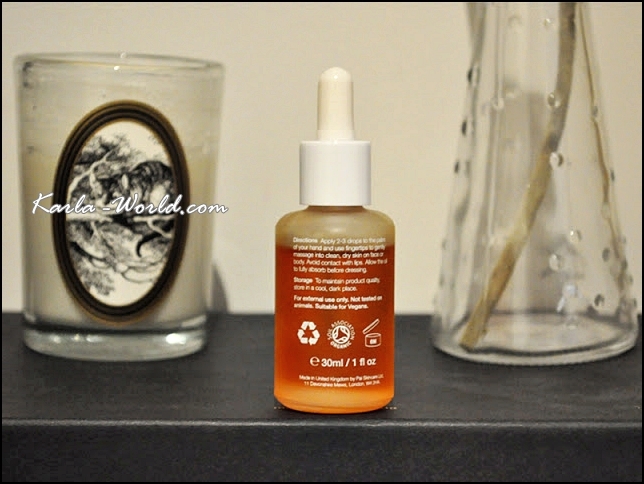 This rosehip seed/fruit oil blend is supposed to be high in trans-retinoic acid. Some say the amount is not enough to make a difference, but I politely disagree. In fact, I can’t use this under my eyes because it makes the skin there crepey. No amount of moisture or hydration layered over it helped until I stopped using it under my eyes. Perhaps it’s too strong for my under eye skin. It has evened out my skin tone by helping fade dark spots and hyperpigmentation faster than if I weren’t using it. It heals acne marks faster. By this, I mean spots that are already on their way out, not active spots. 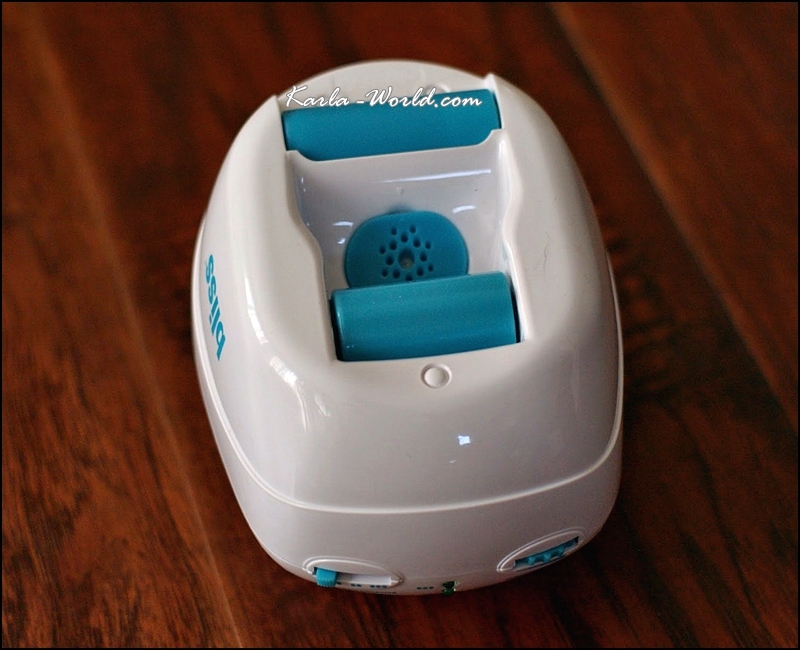 It’s a dry oil, so it absorbs quickly and doesn’t feel oily once it’s absorbed. I have dehydrated skin, so it does not provide any moisture or hydration. Depending on how my skin is feeling, I sometimes have to layer a moisturizer over it. Is this a replacement for a retinoid? No, not at all IMO, but it’s nice to have if your skin can’t tolerate retinoids. It works well for me, so I’ll continue to repurchase. Sturdy but lightweight. The mirror is huge for the palette size. The case snaps firmly shut, and even takes a little extra pulling to open the first few times. The math works out to a little over £3 per shadow – a bargain. These are soft, highly pigmented shades. Some don’t like UD matte shadows, claiming they are too dry. This isn’t a problem for me. If you are (understandably) gun-shy about this, swatch it in the store, or even dab some on your eyelid. I get that, for the price, you want it to be a palette that works with your skin. Venus is a lovely shimmer highlighter with a slight yellow tint. In a pinch, I use it on my face as a highlighting powder, applying with my finger. Foxy and W.O.S. (walk of shame) are good matte lid colors and blending shades, Foxy being warmer and W.O.S. being on the cool side. I use them both. 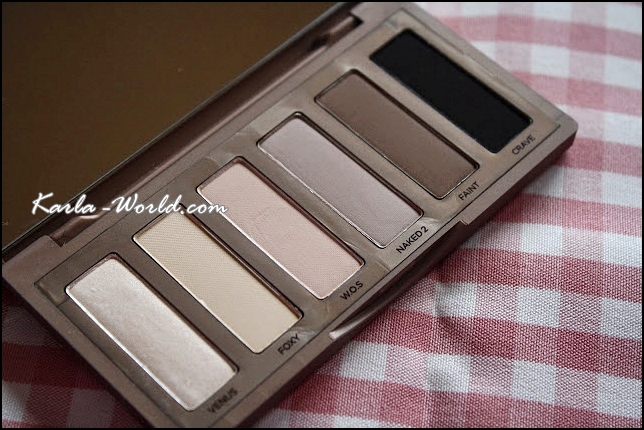 Naked 2 is a cooler matte tan, perfect for blending into the crease or softening darker shades. This is my favorite color in the palette. 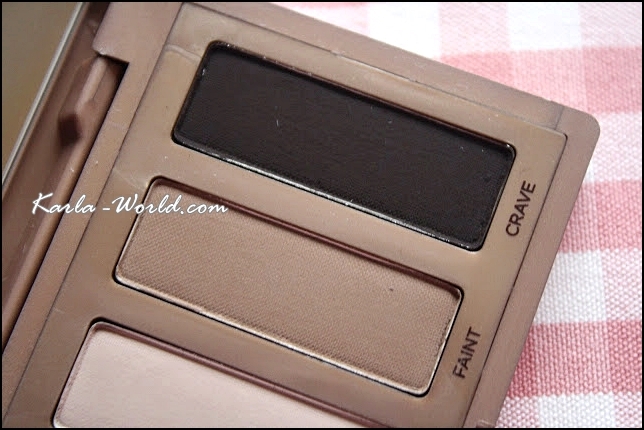 Faint is a gorgeous matte milk chocolate brown. It blends well with most browns, and warms up the greyer ones (important for me, since I have yellow undertones – cool shades can make me look dead). Crave is a beautiful matte black that can work alone, blended out into a grey, or crank up the depth of any shade you have. It’s also my go-to smokey eye black shade. Less experienced/mature makeup lovers may look at this palette and go, “Boring!” But they aren’t seeing its incredible versatility and beauty. Naked 2 and Faint are great brow powders – throw on a bit of brow wax or Vaseline, gently fill in, and your brows will look shapely and neat. Taking this palette along on a trip means you already have your brow powder, highlight shade, and black in one small package. More on versatility: Take any “scary” shade you might want to try – bright yellow, green, or red, for example. 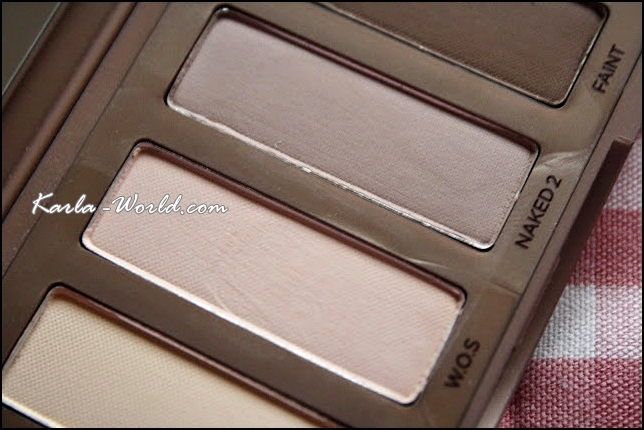 You can use Naked Basics to crank up the glam or make it wearable. 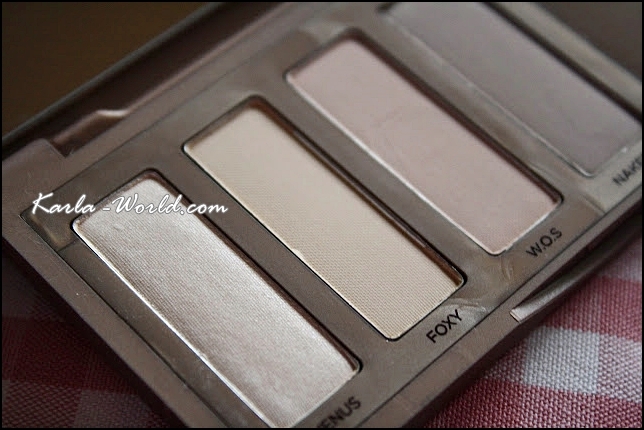 One of my favorite ways to use this palette is to take a gorgeous warm shimmer shade (a Milani gel shadow, or my favorite, Coppering by MAC) and blend it into a wearable warm look with Foxy on the lid, Naked 2 in the crease, and a touch of Crave in the outer corner. Yesterday I deepened a purple look (MAC Haux and Cranberry) with Crave, and used Venus as a highlight. For an elegant no-makeup look, use Foxy on your center and outer lid, Venus on the inner third including the corner, blend Naked 2 in your crease, and softly line with Faint. I haven’t tried Naked Basics 2; as I said before, cool toned shadows aren’t flattering on me, but you cooler toned folks may find it as amazing as I find NB1. I use this so much more than my other Naked palettes, and ALWAYS use it to supplement them when I do. This palette is varied without being overwhelming, and it will actually help you get more wear out of your other eyeshadows. I cannot recommend it highly enough.